When Norda Allison saw her husband-to-be slap his young son, she immediately called off the wedding. Now she is terrified. Her ex-fiancé has beat up her new boyfriend. Anonymous newspaper clippings are flooding her mailbox—articles graphically depicting what jilted men do to the women who leave them. Then Norda’s life takes an even darker turn. 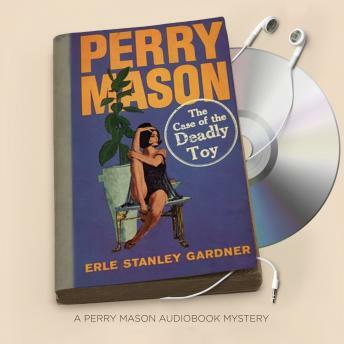 It begins with a barking dog, a child’s scream, a gunshot, and the discovery of a very dead body—and ends when Norda is arrested, charged with a brutal murder.Now only brilliant courtroom strategist Perry Mason stands between Norda and a sentence of certain death.